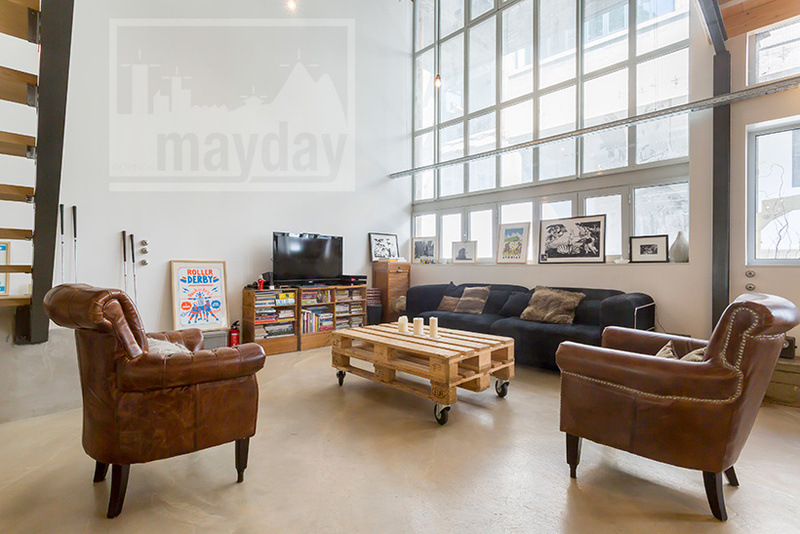 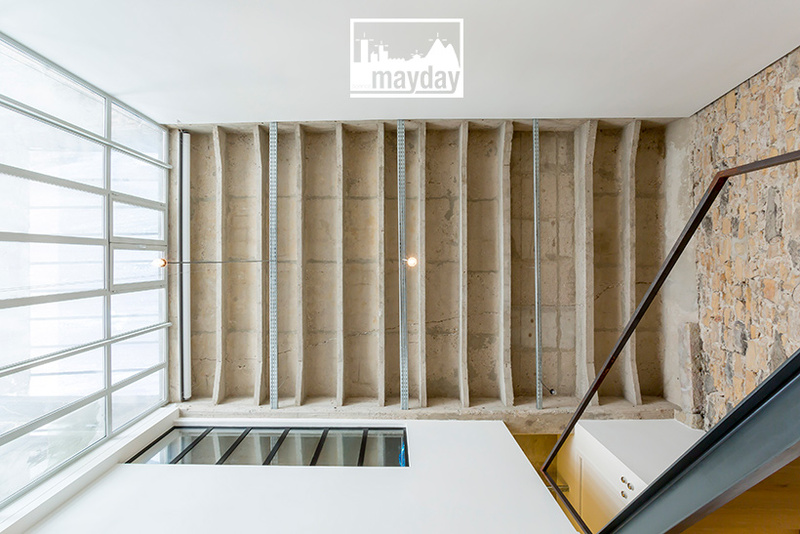 Loft – Wall of Light (jean0028) | Agence Mayday, scouting agency | Best location for your project concerning : feature films, TV, commercials, promos, photo shoot & events. 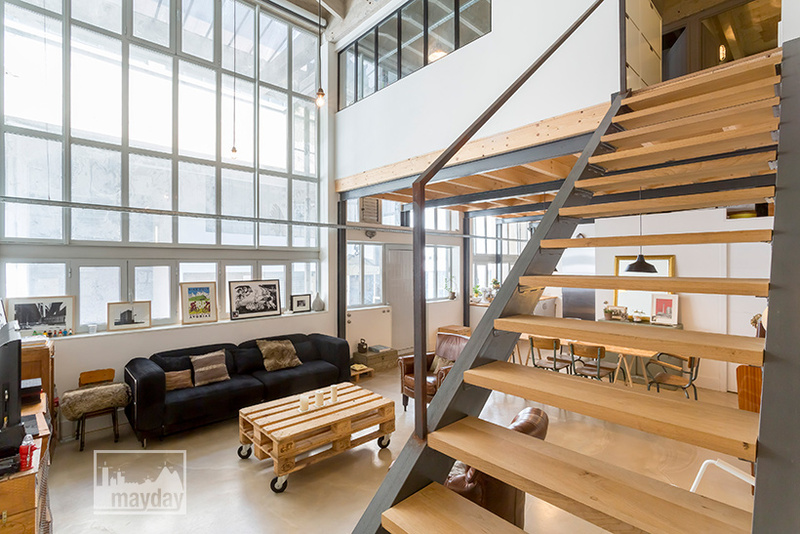 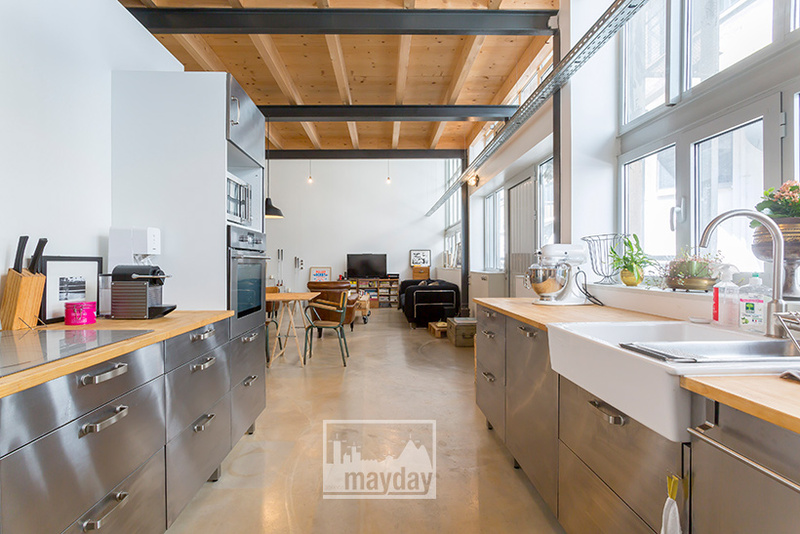 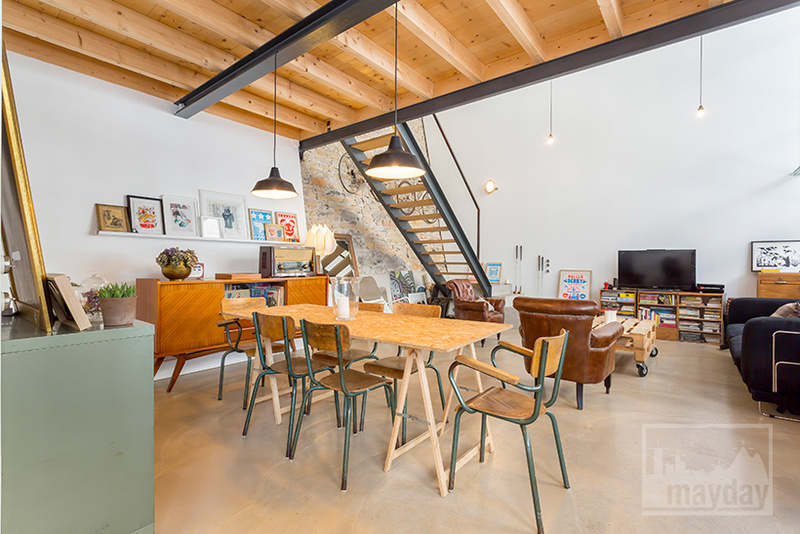 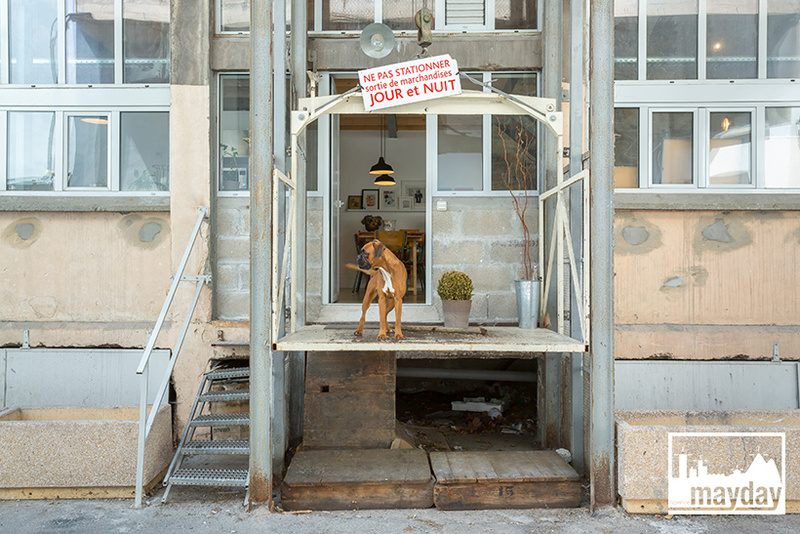 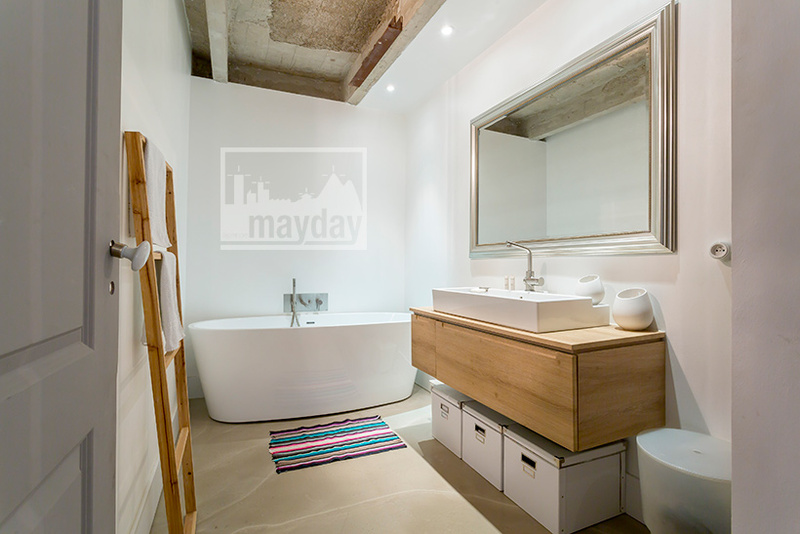 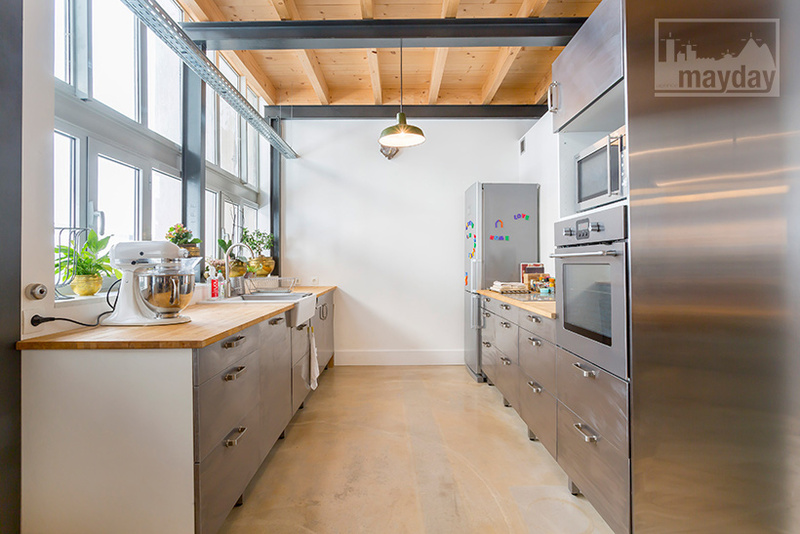 100 square meter duplex loft in a former printing plant in a courtyard of the city center. 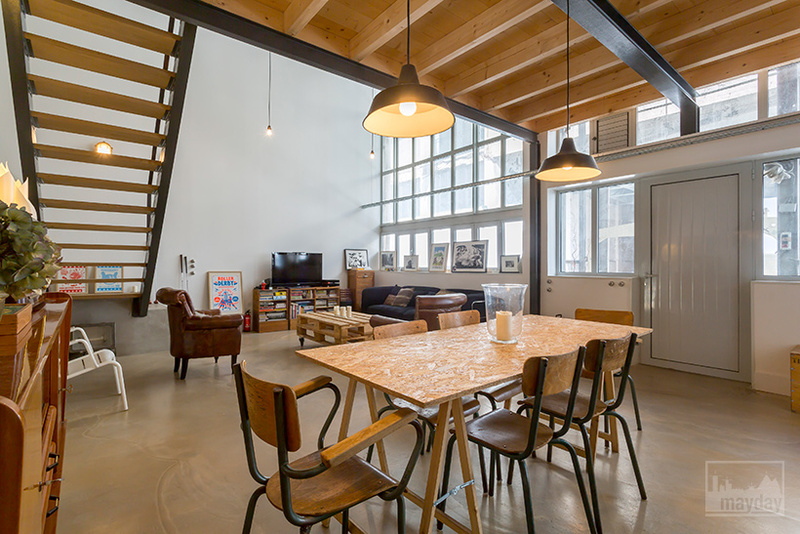 It includes a 60 sqm ground floor with an open kitchen and the living room. 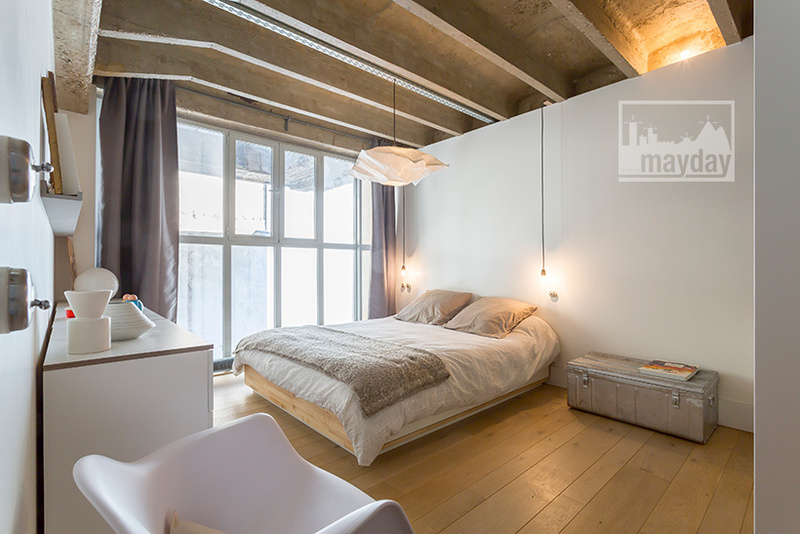 The first floor is a 40 sqm mezzanine with a bedroom and a bathroom. 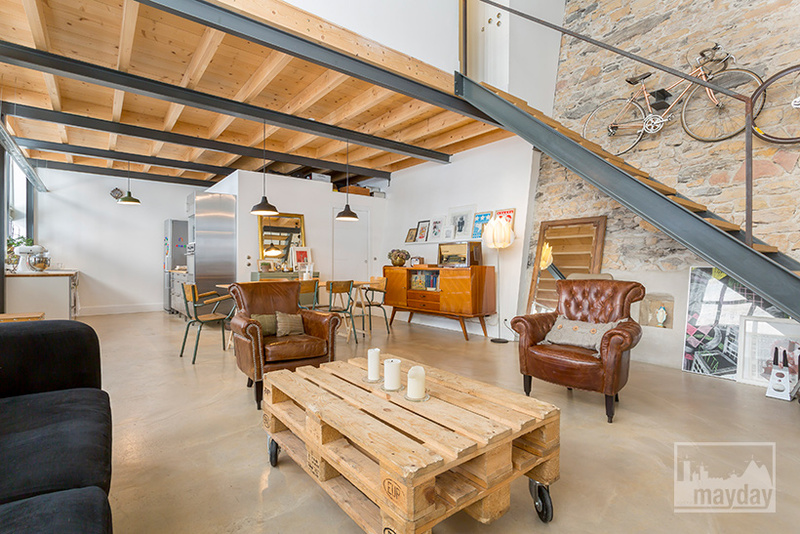 Waxed concrete, steel beams, wooden floor, stone wall and concrete beams. 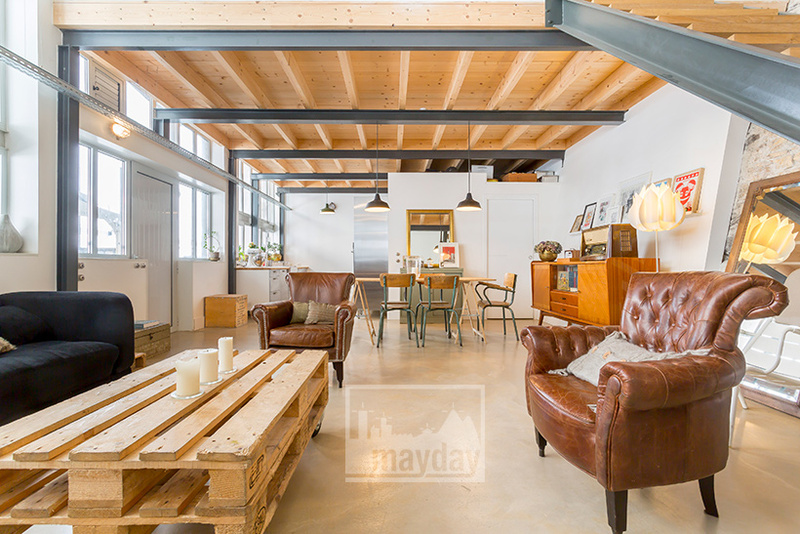 Industrial décoration made of second hand and recycling furnitures.